The region is set to be a growing source of demand for the precious metal. 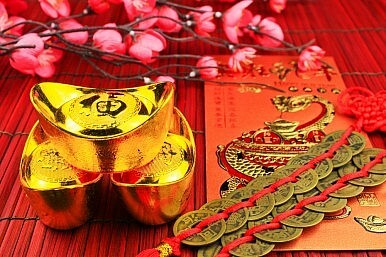 Gold has failed to fire in 2015, but its legions of admirers can thank Asia for a more bullish longer-term outlook, according to ANZ Research. In a recently released report, titled “East to El Dorado: Asia and the Future of Gold,” the Australian bank’s economists said Asia’s growing wealth and love for the yellow metal would see the gold price exceed $2,000 an ounce by 2025, compared to current prices around $1,200. According to ANZ’s Warren Hogan and Victor Thianpiriya, Asia will represent over half the global economy by 2050, with rising incomes supporting increased demand for gold investments. China and India are already the world’s two biggest gold consumers, with three-quarters of the world’s supplies sent to Asia and the Middle East in recent years. However, average gold demand in Asia’s emerging economies is currently only half the level of that in developed economies, with demand also boosted by cultural factors such as Indian weddings. “We estimate that total retail and institutional gold demand for the ‘Asia 10’ region could amount to almost 5,000 metric tons per annum by 2030, up from 2,500 tons currently,” the authors said. Meanwhile, central banks are expected to increase their holdings over the long term, with most of the buying from emerging markets seeking to reduce risk. Currently, around 32,000 tons are held by central banks, with 20,000 tons held by the United States, Germany, the International Monetary Fund (IMF), Italy and France, but China’s gold reserves are only slightly over 1,000 tons. “If all central banks in the world were to hold at least 5 percent of their foreign exchange reserves as gold (equivalent to the current median holding), this would require the purchase of almost 8,000 tons of gold, a difficult proposition if central banks did not want to influence prices,” they said. The supply side is seen supportive of ANZ’s price forecasts, with gold mines “unable to expand rapidly.” While gold is currently being mined at a “record pace,” production has only grown gradually, from 2,500 tons in 2005 to around 3,000 tons in 2013, with China and Australia the leading producers. According to the authors, around 20 percent of the world’s gold mines require a price above $1,200 per ounce to be profitable, effectively putting a floor under the gold price of around $1,000. “While new low-cost mines may become operational in the future, it is a general trend that new supply is becoming more costly. A significant expansion of supply from current levels would most likely require a rise in the price of gold in the years ahead,” ANZ said. Adding to the bright picture is gold’s “unique role as an investment and a defensive asset,” particularly amid rising public debt and “extraordinarily” low long-term interest rates, as well as growing demand from risk-averse aging consumers. “We believe it will remain an important part of investment portfolios for both the private sector and central banks. Gold is a store of wealth in unstable times, and while the global financial system has successfully weathered a major storm in the past decade, the future is far from certain,” they added. Gold investment demand has surged during the past decade, particularly via exchange-traded funds (ETFs). ETF holdings peaked at 2,600 tons in 2012, but have since eased to 1,600 tons, according to ANZ. As well as the world’s largest producer and consumer of physical gold, China is predicted to eventually dominate price setting, similar to its current dominance of coal and iron ore markets. While British and U.S. markets currently dominate turnover, “there is no reason why Shanghai should not become a major center for gold trading, provided the appropriate institutional and legal reforms take place,” ANZ said. The authors pointed to China’s push to open up its gold market to international investors, including establishing an international board in the Shanghai Free Trade Zone. In more good news for gold bulls, the analysts said the price could reach as high as $3,000 an ounce by 2030 under a more optimistic scenario, although the more likely case was a gradual rise through the $2,000 level within the next decade. “We expect the global economy to experience moderate growth over the next decade of around 3 percent to 4 percent annually which will lead to rising real interest rates. This should provide positive, though modest, returns to equity and fixed income markets, creating a headwind for gold prices,” they said. Australia would be a major beneficiary should the ANZ forecasts prove accurate, given the nation holds the world’s largest known unmined gold reserves, followed by Russia and South Africa. However, price gains could remain muted over the next few years, as continued selling by ETFs adds to global supplies, with the actions of central banks key to the price outlook. On April 30, ANZ Research described the current gold market as “lacking conviction,” with physical gold demand remaining soft and “safe haven demand” not supporting prices. China’s gold imports dropped to a seven-year low in March, although India’s imports doubled during its peak seasonal demand period. “There is a distinct lack of a consensus view on gold right now, and the next move in the gold price rests largely on the evolution of U.S. data – and how it impacts the U.S. [dollar],” ANZ said. It expects the gold price to reach $1,225 by year-end, rising to $1,420 in 2016. However, with gold prices currently around a third below their 2011 peak, other analysts are not as confident. “We’ve seen everything gold bugs could hope for: endless money printing, 0 percent interest rates (both short-term and long-term adjusted for inflation), rising debt and debt ratios in the public and private sectors…So where’s the damn hyperinflation?” newsletter publisher Harry Dent was quoted saying. A recent annual survey by consultancy Thomson Reuters GFMS predicted the gold price would average $1,170 an ounce in 2015, with the price suffering from expectations of improved U.S. economic growth and higher interest rates. It forecast only a modest rise to $1,250 next year on increased buying from Asia, including institutional demand. But for the Asia-Pacific’s gold companies and longer-term investors, ANZ’s price forecasts should give plenty of reasons to be cheerful. Worries over global trends have produced a rally, to the delight of Australian miners.